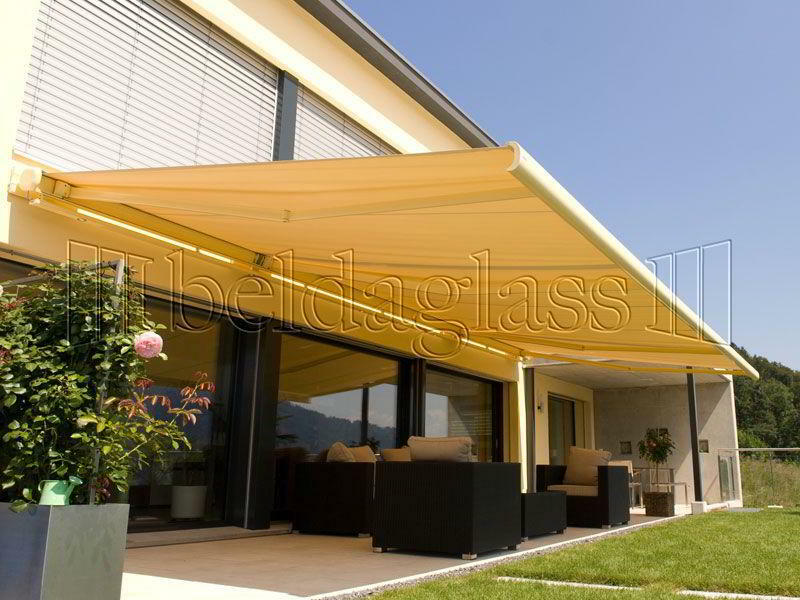 Perhaps the most notable difference between the awnings for terraces and mobile roofs, in which Beldaglass is working since 25 years ago, is the wide variety for awnings of accessories, colors and designs of our fabrics for awnings. 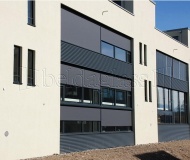 That is why they are an optimal and efficient solution in order to reduce sunlight just at the touch of a button with the automation that integrate and arms with hydraulic systems in order to they are always tense. 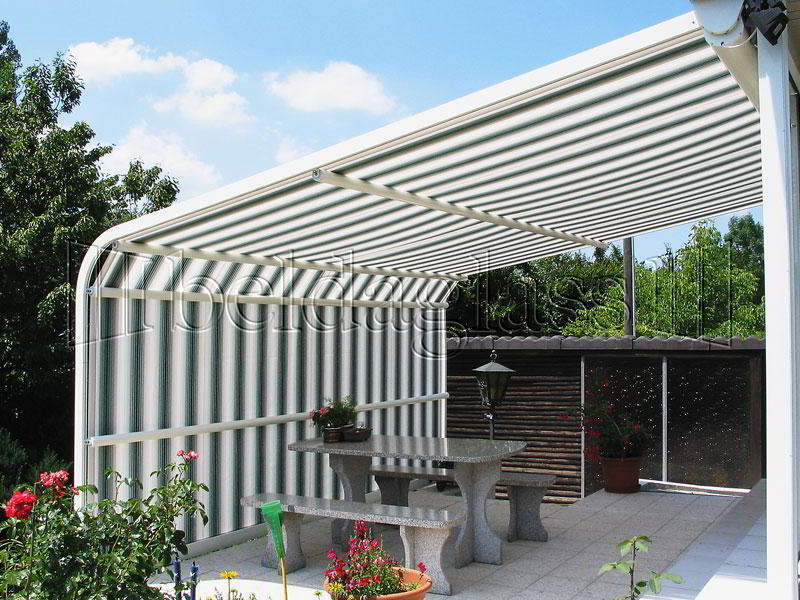 The awnings for pergolas and verandas allow us have shade in open spaces, achieving reduce the sun incidence and protecting from the UV rays, thanks to technology we apply to our fabrics. 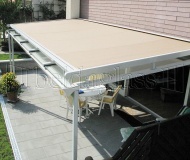 When the awnings are closed they are completely stored in a chest which is closed with the edge of the awning itself. 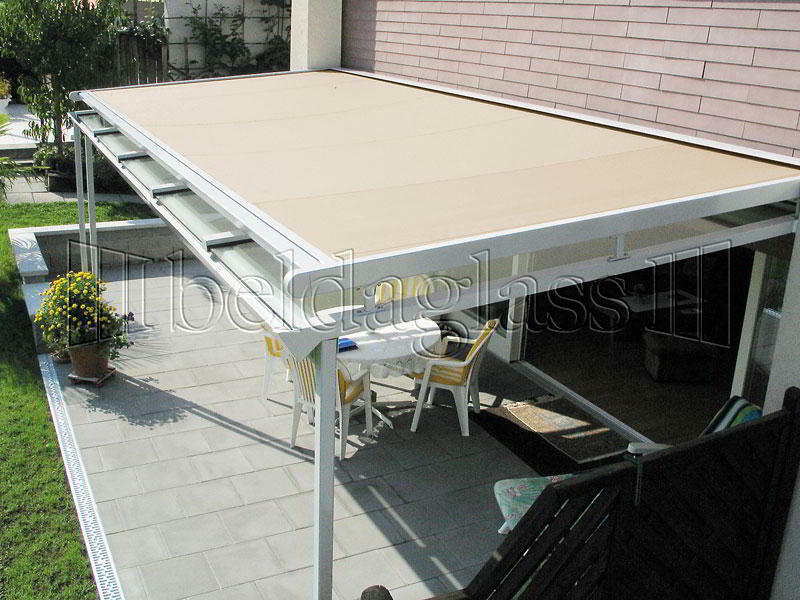 This why the awning help to maintain the aesthetics of the place, while when is deployed is able to create a pleasant shade, because of translucent fabric. 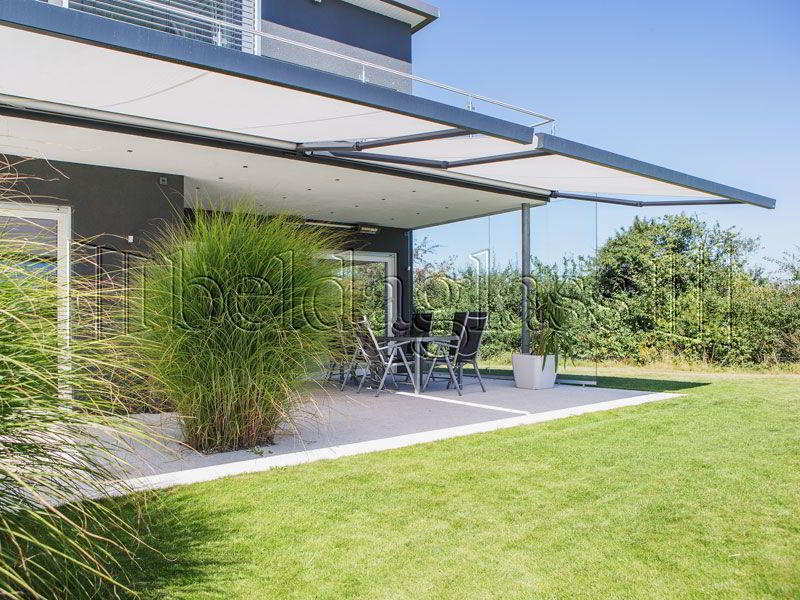 Installing awnings for pergolas in the garden or in the terrace also provides privacy to escape the prying eyes, allowing enjoy the sun in an intimate atmosphere and a pleasant temperature. 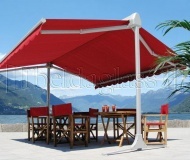 We offer interesting solutions for summer terraces of restaurants and cafes, according to the planning regulations, allowing better use of space, compared with parasols that restrict the distribution of tables in the business. 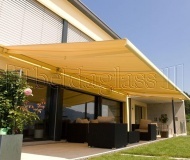 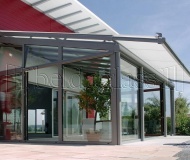 Terraces awnings provide shade while not limited air circulation, and getting a fresh atmosphere and open space. 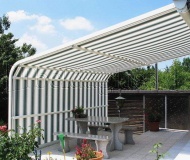 Besides it is an easy way to get shade in every moment through automatic systems that close or open the awning ordering the action from a remote control. 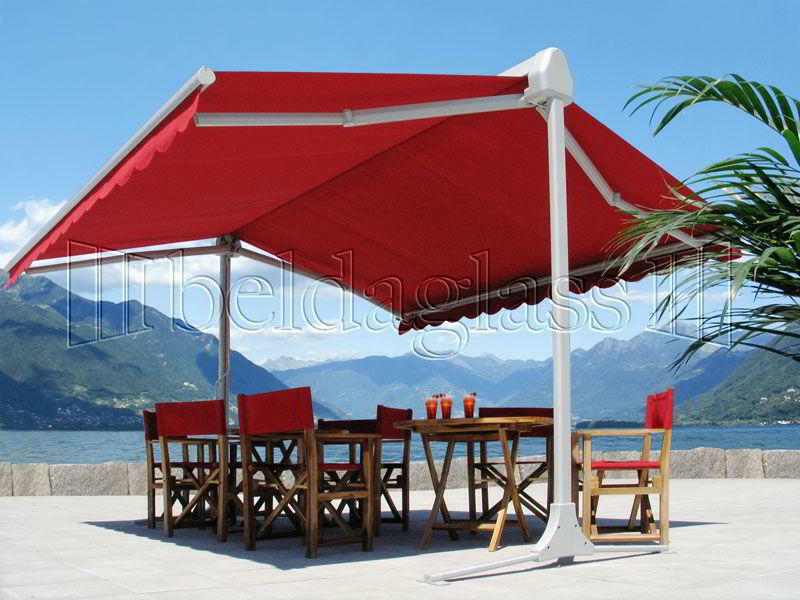 And in order to your awning will not suffer by wind stresses, we include anemometers that warn when the wind exceed the security standards. 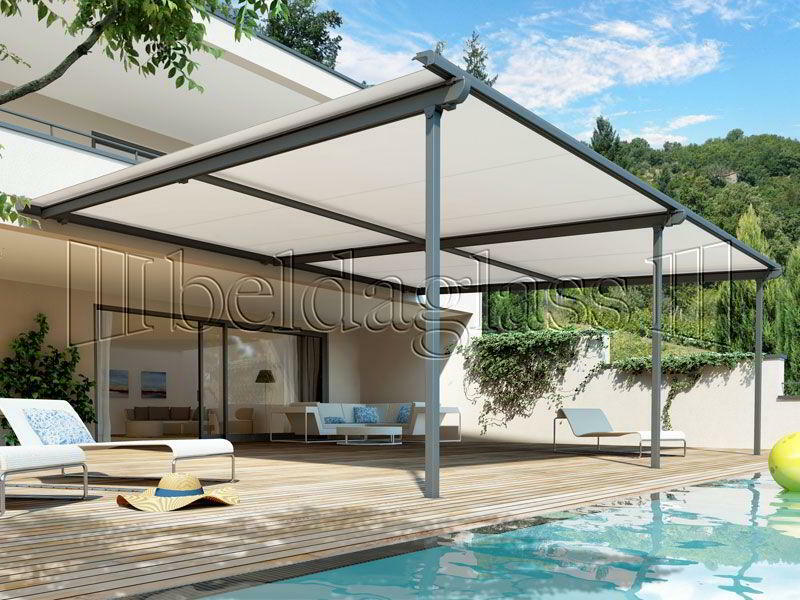 All awnings for terraces that we manufacture are tailor-made, adapting the dimensions to the particularities of each place and offering from a range of over 400 designs, with which you can match the color of the fabric with the image of the establishment or the house. 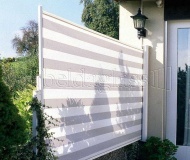 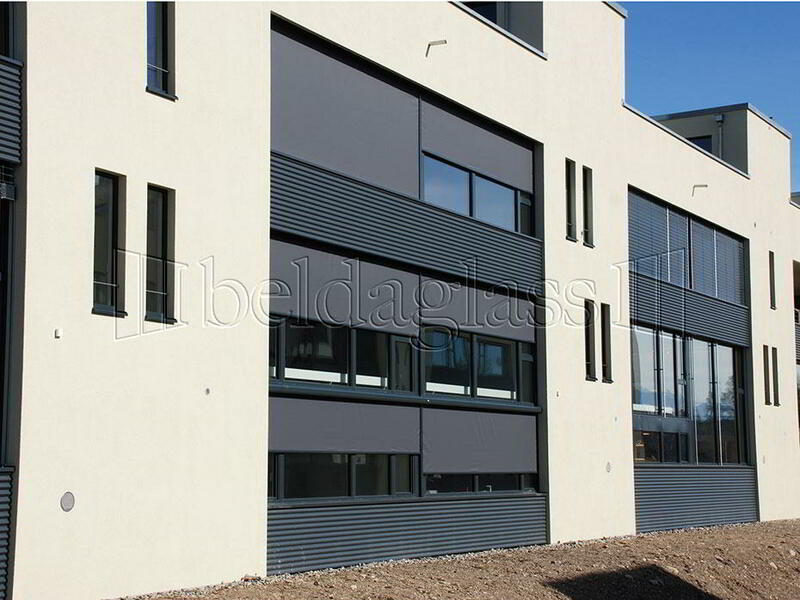 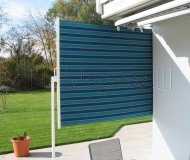 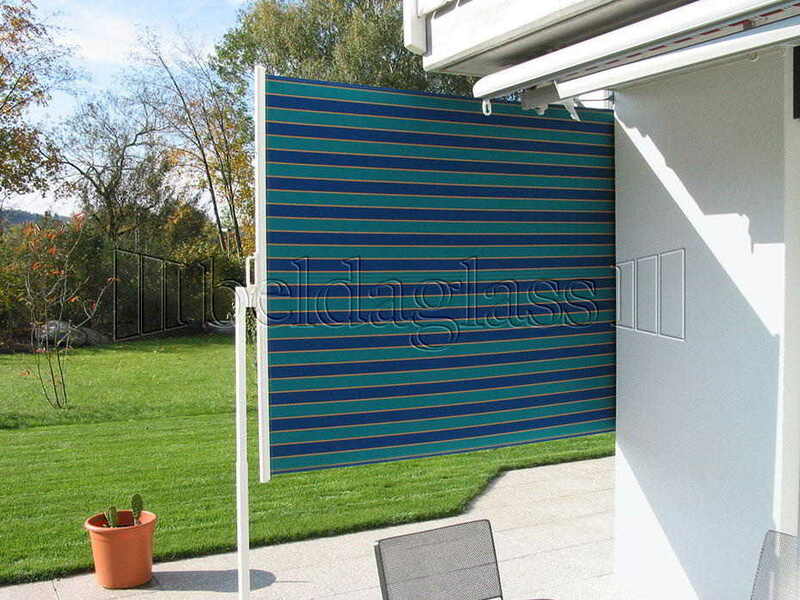 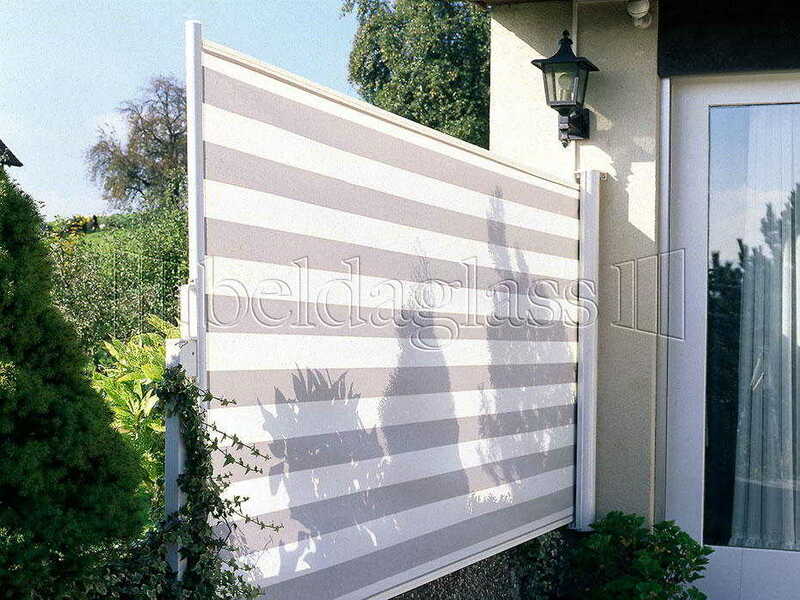 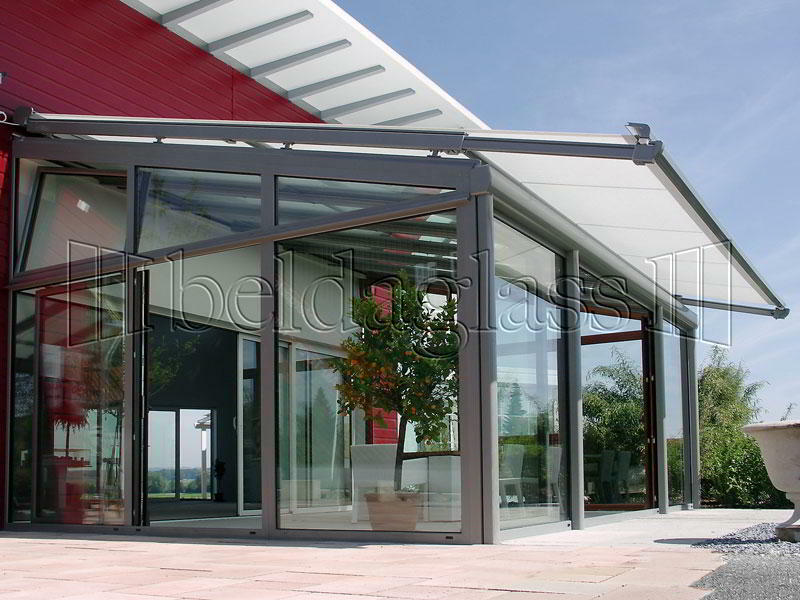 Besides pergolas and terraces awnings, in Beldaglass make vertical windbreaks awnings which achieve a visual barrier and a barrier against the breeze, a way to escape prying eyes and create a pleasant atmosphere when the wind makes theirs.